B.J. Arun is a successful serial entrepreneur who brings over 25 years of leadership experience in the Information Technology industry. He is currently CEO of July Systems, a cloud based mobile internet platform company powering consumer facing mobile services of some of the largest brands in the world. July's customers include Intel, Cisco, ESPN, CNN, LVMH, Toys R Us, NBA, NFL, NBC Universal, Viacom, PGA Tour, Turner Broadcasting, Wall Street Journal, News Corp, AT&T, Verizon, and CBS with a service footprint in over 100 countries, reaching over 150 million users and driving billions of transactions annually. Prior to July Systems Arun co-founded and was formerly CEO of Librato, a San Francisco based SaaS company offering a platform for Real-time Operations Analytics that accepts metrics from any source for real-time aggregation and transformation, anomaly detection, alerting, visual analysis and storage. Librato was acquired by Solarwinds (NYSE: SWI) in January 2015. 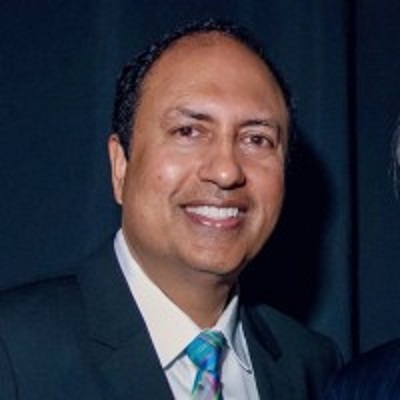 Prior to Librato, Arun founded California Digital in San Jose, CA in 1994 and ran the company profitably since its inception. Arun orchestrated the acquisition of the assets of VA Linux Systems (Nasdaq: LNUX) in 2001 which catapulted California Digital into a market leadership position in the space of Linux based High Performance Computing and related software services. Under his leadership, California Digital deployed North America and Europe's fastest Supercomputer Thunder' at the Lawrence Livermore National Labs in 2004. Arun is an active Charter Member of TiE, The Indus Entrepreneurs, a not-for-profit global network of entrepreneurs and professionals dedicated to the advancement of entrepreneurship since 1994. In addition to various awards and recognitions, Arun was awarded the prestigious Karnataka Rajyotsava Day Award' by the Chief Minister of Karnataka (India) on November 1st, 2004.